Cathy is shown into the design room of Marling Ceramics by Allen Marling (Gary Watson), where Mara Little (Didi Sullivan) is finishing a design on a bone china cup destined for the Leipzig Trade Fair. He shows her his lab where he's trying to develop a tile with enough elasticity to be unbreakable. 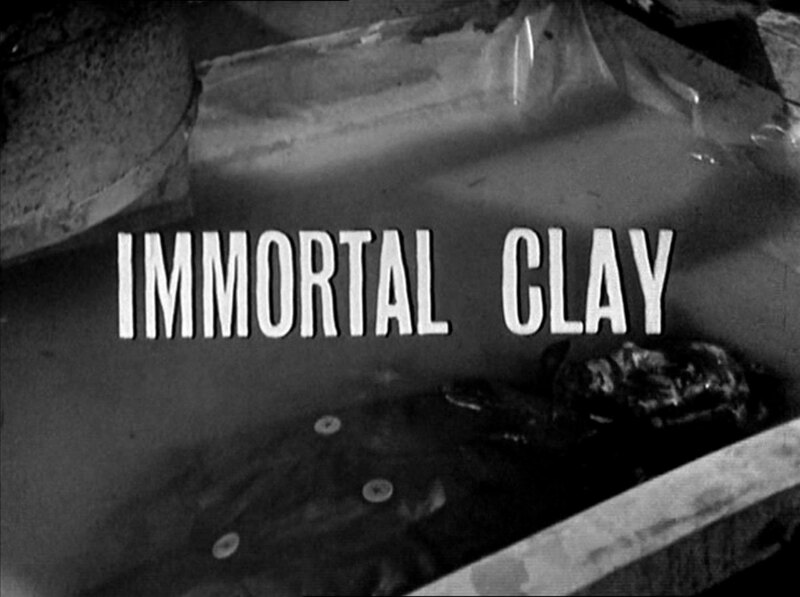 His brother, Richard (Paul Eddington), enters and scoffs at his 'world-shattering theories', then leads Cathy away to show her the initial mixing phase, and they discover a corpse floating in the tank. 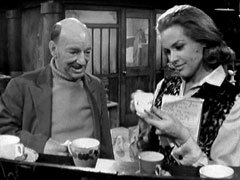 One Ten meets Steed in a Turkish Bath and tells him Marling's is a small company on the verge of bankruptcy and can't afford good laboratories, but despite the apparent impossibility of Allen's theories, he could be right. Steed is told to find out and when he questions the security implications of an unbreakable cup, he's told Marling's clay would be strong enough to cut through tempered steel- such a secret would be highly sought after, and an industrial spy was found dead at Marling's yesterday. 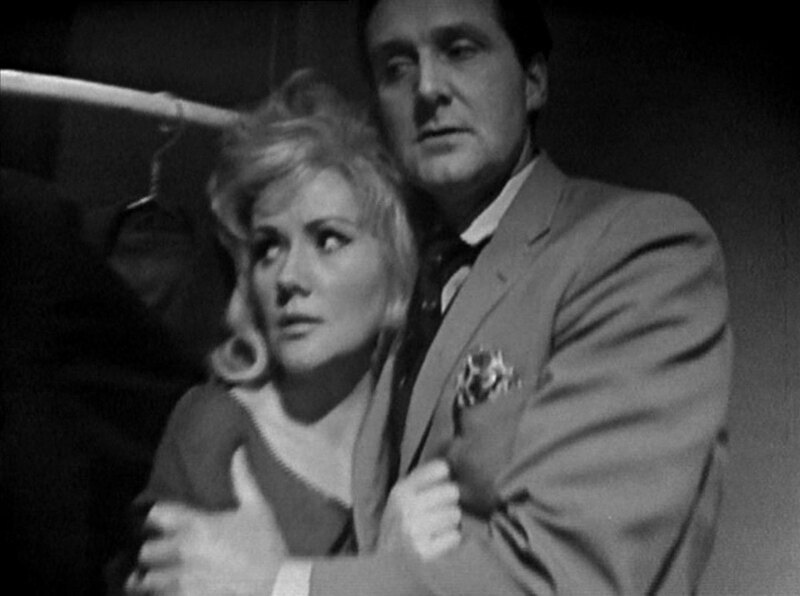 "Yes, I know, Lander", says Steed and One Ten complains about him using amateurs when he mentions Mrs Gale. Steed explains she's writing a book on ceramics and knows the Marlings but is ordered to go there himself, in the guise of a ceramics expert. He has twenty-four hours to acquire ten years' expertise. Harry Miller (James Bree) is painting while Mara reads a gossip magazine. He tells her she's prettier than Miss England and she dreams of winning a beauty contest; he's sad because it would mean she'd leave, then notices she's wearing a new dress which she admits Mr de Groot gave to her. He's upset and tries to press his suit, but she pushes him away, saying they'll be seen. Richard is in the shop when his wife, Anne (Rowena Gregory), arrives; he complains about having to pay a full week's wages to the staff when the murder has disrupted production but says it might be worth it, "at least he can't run off with you now". She protests that they only went out a few times and there was nothing in it. He says the police suspect him - he had motive and means, and no alibi. They need to make a success of Leipzig or they'll go under - he won't be able to afford Miller's artistry otherwise. Steed meets Cathy in a museum and she tells him the Marlings inherited the business from their father - Richard does the books but Allen is the brains and potter. She feels sorry for Allen, who's hampered by his brother, and Steed warns her it's not safe to feel sorry for people in their line of business. He tells her Lander was an industrial spy and One Ten says if right, Allen's discovery will revolutionise weapons and aircraft. Back at the lab, John Machen (Bert Palmer) asks Allen for his wages and tells him the police are getting nosey; he burnt all of Allen's clothes, despite being covered in clay from the tank - but lost one of the gloves. De Groot (Steve Plytas) enters and expresses interest in Allen's experiments then asks if his consignment for Leipzig is ready. Allen sends him to Miller, who is jealous when Mara offers to show de Groot her new dress and orders her away to fetch Richard. After she leaves, de Groot tells Miller he'll need money to keep her and offers £20,000 for the new ceramic. Richard tells Cathy de Groot is his best customer and a big order for Leipzig is good for business. She's surprised to hear an East German town and he says politics doesn't come into it, they sell cups and saucers, not H-bombs. Machen enters as he leaves and tells Cathy he was a master potter until a car accident a few years ago - and show her some of his work. He admits the Marlings offered him the nightwatchman's job because the accident was his fault and he received no compensation. 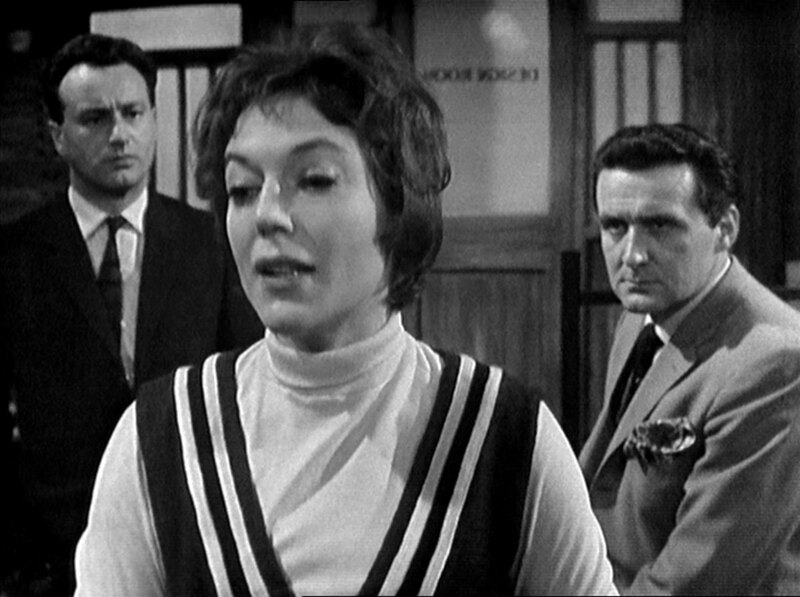 Steed arrives in the guise of a member of the Ceramics Research Council and Anne suggests to him than Lander broke into the premises on the night of his death. She goes to fetch Richard and Cathy tells him about de Groot's consignment to Leipzig, and that Lander had a key. Steed and de Groot meet briefly and Richard is pleased, thinking his Royal Marling is attracting attention, but is annoyed when Steed mentions the murder, and then asks to see Allen's experiments. Richard warns him Allen's previous ideas haven't turned out as hoped. Mara fetches Allen, who bashfully asks her out on a date which she accepts and she gives him a kiss for good luck. Allen enters just as Steed is about to be thrown out after suggesting Richard committed a crime passionelle in killing Lander. 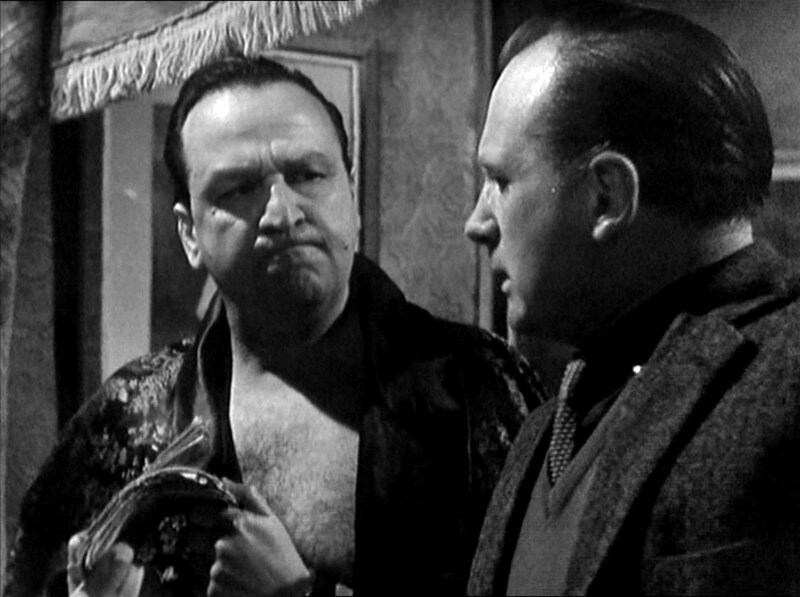 Allen asks Steed to wait in his laboratory and tells Richard his tile works. Richard is dismissive, saying he's busy, but Anne and Allen implore him and he agrees to come. Steed enters the lab and finds Blomberg (Frank Olegario) in a lab coat, systematically smashing tiles with a hammer; he makes some small talk and Blomberg hits him then escapes. The Marlings enter to find Steed on the floor. He describes his attacker and they say they have no-one like that on the staff. 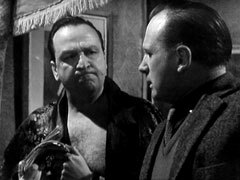 Allen produces his tile from his pocket and Richard suggests calling the police but Steed wants them to get on with the experiment first. Mara tells Harry that Allen has a visitor and she hopes the tile works but Harry is jealous of Allen and scoffs at the tile. Allen asks what his ceramic would be worth and Steed suggests £5-6 million a year while they hold the monopoly - surprising Richard greatly. Allen suggests the tile is the motive for Lander's murder, which would clear Richard. He asks Richard to hit the tile as hard as he can - and it shatters! Mara is doing exercises, worried about her waistline, when Miller enters. He hides Allen's glove in the cupboard and she tells him de Groot wants to see him at his hotel. Miller asks her if she'd marry him if he had £20,000. He suggests £50,000 when she looks unsure and she agrees to get engaged to him if he 'wins the pools'. She's parading around, demonstrating her catwalk technique, when Steed enters. He tells them he's looking for Allen's missing ceramic. Miller nervously points the finger at yesterday's break-in but Steed blithely tells him it had already been stolen before then; Miller then suggests the tile never actually existed and Marling invented the experimental results. Richard meanwhile is lunching with Cathy and Anne. He is despondent and suggests Allen hadn't succeeded at all, he's always had to be nursed but Anne insists Allen succeeded this time. Steed meets One Ten at the museum and explains the situation. When he tells him about the Leipzig Trade Fair, One Ten leaps on the Iron Curtain connection - abd says Steed is to blame for the tile being stolen and it's up to him to get it back! Back at lunch, Richard is on the 'phone and Anne complains that Cathy sees more of him than she does. She adds they can go weeks without exchanging a word unless it be on design or invoices - Richard is working 12 hours a day and has become so bitter he's no longer capable of love. She admits going out with Lander, but says she didn't really like him. Miller meanwhile arrives at the hotel, when Blomberg is giving de Groot a massage. He complains about Blomberg being sent to steal the tile and triumphantly says he has it. Miller demands £50,000 "for me and Mara" and de Groot sneers at him, but agrees to the new price and warns him not to cheat him. Miller says the tile really won't break, and hands him Allen's glove, which he says he found next to the slip tank on the morning Lander's body was found. De Groot tells him to mould the tile under flame into a cup and add it to his consignment. De Groot says he has the money to pay him and when Miller suggests he's not the only one in the market Blomberg roughs him up a bit. De Groot warns him the people he haggles with would kill Miller - and he would too if he didn't still need him. Miller submissively agrees to have the cup ready by Saturday while back at the pottery, Mara breaks into Miller's locker and looks concerned about what she sees. 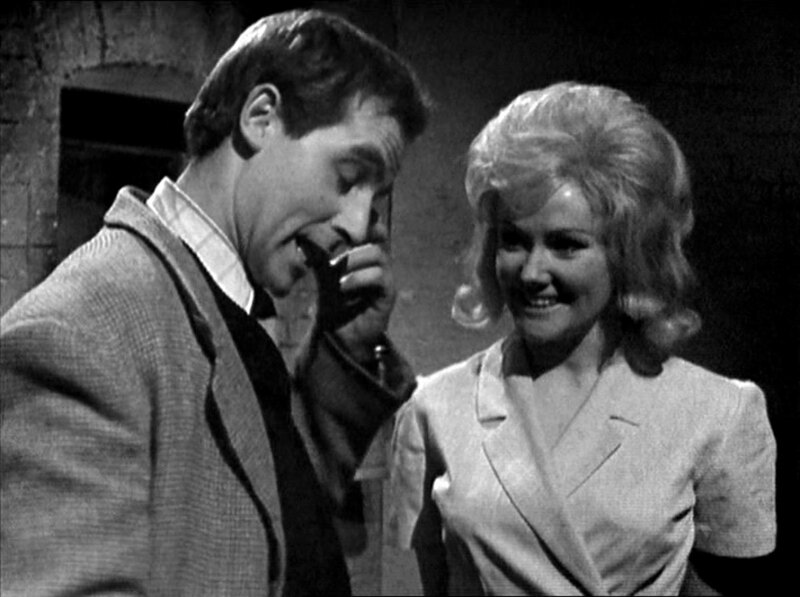 Steed asks Cathy to invite de Groot to meet her so he can break into his hotel room. She's to offer some Tang pieces for sale, and make it known she's in the market for unbreakable ceramics. Meanwhile, Miller makes the cup and Machen enters just as he tests it by dropping it on the floor. Machen pretends not to have seen and says he's just doing his rounds, then departs. Cathy offers de Groot up to £200,000 for Allen's tile. He asks why she thinks he might have it and wants to know who she's working for. Steed enters de Groot's hotel and finds Mara, armed with de Groot's revolver, searching the room. She tells him Miller is jealous of Allen and gave de Groot the glove as proof of Allen's involvement in the murder, and begs for Steed's help. Blomberg arrives to pick up de Groot and Cathy realises he's Steed's attacker. De Groot asks him to fetch his 'machinery' and tells Cathy that Blomberg is strong and violent, but would never hurt one of his... friends. Steed and Mara hurriedly hide in the closet when Blomberg enters, and watch him childishly play with the revolver with baited breath. Back at the lab, Allen receives a call from de Groot. He hangs up, ashen-faced, and tells Josh he has the glove -adding he'll take sole blame for Lander's death. Miller puts the cup into the consignment just as Blomberg is knocking out Josh in the display room. Cathy enters with de Groot and he pulls out his gun while Blomberg takes her pistol, which de Groot takes off him. Blomberg leads Cathy to Allen's lab while he confronts Miller, and demands to see the cup. He waves the money at Miller and the cup is produced, but shatters easily when struck with a hammer. Enraged, de Groot kills Miller and leaves with the cash. Allen and Cathy try to overpower Blomberg and have just succeeded when de Groot enters brandishing his revolver. He demands the cup but Allen knows nothing about it; de Groot resolves to kidnap Allen and force him to make a new tile. 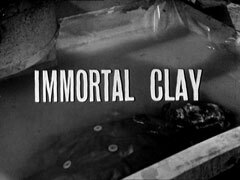 Steed and Mara sneak into the pottery and find Miller's body and he sends her to call the police. Blomberg spots Steed sidle into the office and de Groot opens fire. Chaos reigns as Allen and Cathy set about Blomberg while Steed wrestles de Groot, coming to their aid after knocking out the dealer.